Welcome to Universal Health Warehouse! Universal Health Warehouse strives to provide the highest level of customer satisfaction for our visitors. We are here for all your vaporizer and aromatherapy needs. If you are a UHWH customer and require support for your order please visit our Universal Health Warehouse Customer Support or call +1-877-331-8494 ( M-F 9-5PST ) to speak with a customer service representative. UHWH Fulfillment is an efficient and price-conscious solution that can be tailored to meet any fulfillment need, including E-commerce, promotional material, kitting design and distribution. Our unique “Under One Roof” approach has proven itself advantageous to our clients. UHWH can design a fulfillment program customized to fit any clients’ current and future fulfillment needs. UHWH warehousing solutions are completely flexible, offering our clients both long-term and short-term contract terms. Space and labor expand and contract with your volume requirements. Consider UHWH as your San Clemente public warehouse and bringing value-added services to your customers. 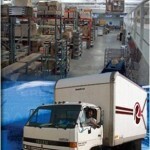 UHWH has the most advanced shipping and storage center in Southern California. Shipping: UHWH utilizes all major shipping carriers including UPS, FedEx, Freight Consolidators, and the US Postal Service for single piece, bulk, LTL/TL, or manifest batching and zip sort standard mail order processing. Storage: UHWh occupies a 38,000 square foot facility allowing storage of collateral per pallet, or racking configuration per project, as well as hundreds of thousands of square footage in off-site storage. 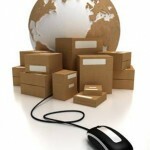 Bulk/Drop Shipments: UHWH will process orders within 24-48 hours of receipt (Truck Loads, LTL, or single piece orders). Inventory Accounting: Real-time inventory, tracking, and shipment activity reports via Web-based UHWH WMS. UHWH’s pick and pack services efficiently process orders for both businesses and consumers. Customers use our pick and pack fulfillment services to distribute art supplies, candy, electronics equipment, and fashion accessories. If your business is seasonal, our flexible labor solution is the answer. We use a cross-trained labor pool and strategic use of temporary labor to economically manage volume spikes. As a result, your distribution costs parallel your revenue.